With an ageing population and a falling birth rate, the Nordic nation could benefit from refugees or immigrants. Instead, a recent wave of racism is driving many out. 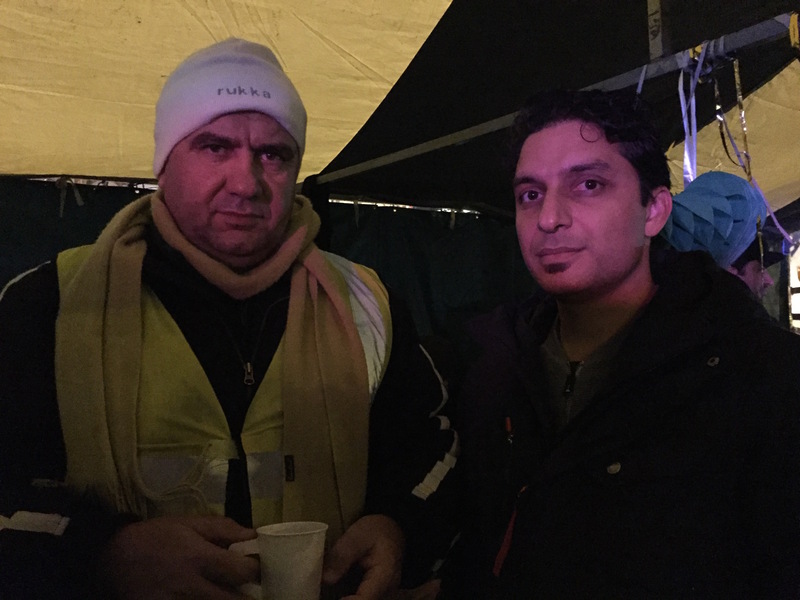 Helsinki: With his neon and yellow jacket identifying him as a volunteer, Hazrat Shah is hard to miss. He is serving up warm food and drinks under a makeshift tent to refugees in Finland, just outside Helsinki’s main railway station. 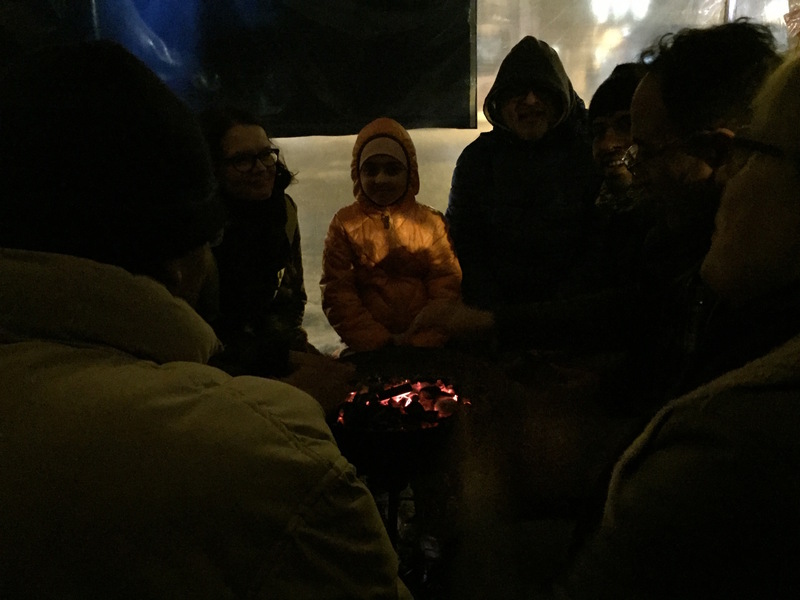 Women, children and men huddle around a small fire in the cold to protest the Finnish government’s decision to deny asylum to so many like him from Afghanistan, Iraq and Somalia. On March 8, they had saved a young Afghan refugee from committing suicide. After his application for asylum was denied twice, the young man, who was facing deportation, had tried to hang himself from a tree. According to reports, 58 refugees attempted suicide in Finland in 2016. Counting this incident, the number for 2017 is already up to 11 people. 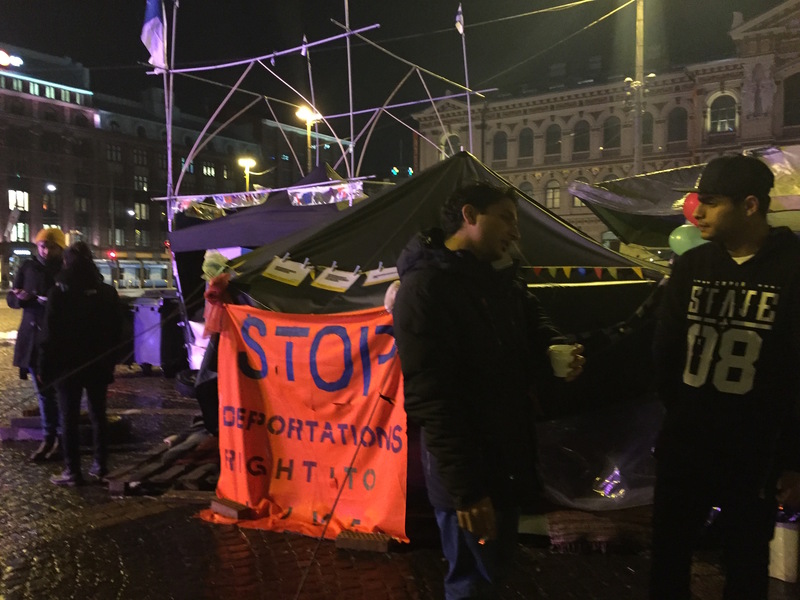 Shah, in his 50s, is among the many refugees whose applications have been rejected by the Finnish government, despite the real threat to his life and liberty back in Afghanistan. Shah left his home in Wardak in 2015 after receiving threats from the Taliban and seeing several of his colleagues killed. At the time, he was a manager in a fuel company that supplied to the International Security Assistance Force (ISAF) and had been a translator for both the North Atlantic Treaty Organization (NATO) and ISAF for over a decade. He tells us that he had no idea where he was headed or how he would get there when he fled Afghanistan for Europe. He chose Finland because it was “far away,” and because, en route in Greece, a Syrian refugee had told him the Finns were granting asylum quickly and easily, unlike many of their European counterparts. Shah said when he arrived he realised that access was mainly for Syrians. Finland took in nearly 35,000 Syrian refugees in 2015 – a ten-fold increase from the previous year. But Somalis, Afghans and Iraqis with similar stories are having a much harder time with their applications. In May 2016, the Finnish government declared Iraq, Somalia and Afghanistan “safe” for asylum seekers to return to, despite stories like Shah’s. It promised to review that announcement in November last year, but nothing has changed on the ground. 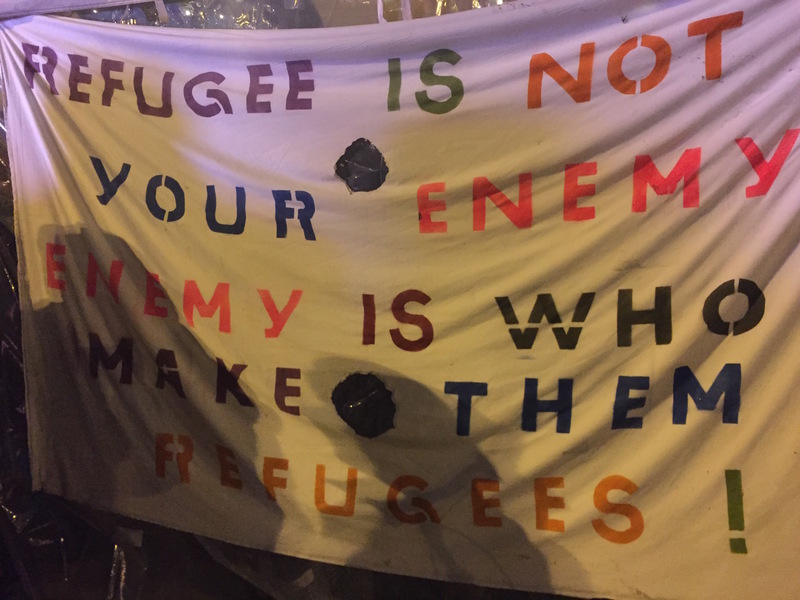 Across the main pavilion outside the railway station where they put up their tents and banners, right-wing groups – the Finnish Nationalists and the neo-Nazi Finnish Resistance Movement –threaten to dismantle the makeshift refugee camp. 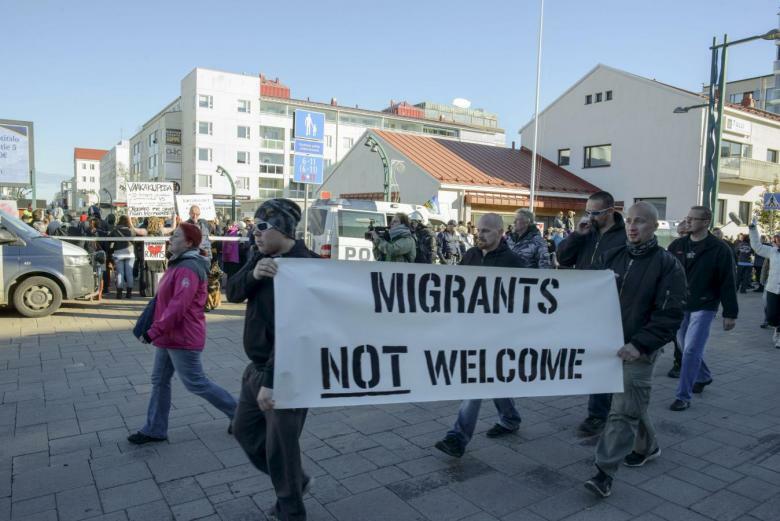 The wave of xenophobic, populist and ultra-nationalist, right-wing politics has not spared this Nordic nation, which has far fewer immigrants in general, compared to its counterparts Sweden and Norway, or even Denmark. Finland’s welfare system prides itself on justice and equality. Healthcare and education are free. For those who can’t afford it, the state provides food and shelter. A system ripe for abuse by economic migrants, say Finnish nationalists. For the first time, Finland’s right-wing party True Finns is in power as a member of the three-party coalition, leaving many in its liberal, welfare oriented political class worried. They came to power on their Euro-skepticism, and anti-bailouts and anti-migration politics. But their support base, holding the counter demonstrations across the square from the immigrants, have called its leaders traitors. “They have sold their soul to globalists and people don’t trust them anymore,” says one nationalist protester who refused to give his name. True Finns holds two key portfolios in the Finnish cabinet – defence and foreign affairs. Foreign minister Timo Soini, speaking exclusively to this reporter, says that despite the tough voices against immigration within his party, the Syrian crisis of 2015 and the wave of refugees meant Finland too had to help. Over 30,000 asylum seekers entered at the time, but Soini says there were also “a good amount of people who tried to come in as economic migrants, and that created conflict in Finnish society because it was hard for the public to tell the difference between them and the genuine asylum seekers”. And, he argues, that all EU member states need to share the burdens and costs of any crisis. Referring to both the bailouts and the refugee influx, Soini says the EU has rules, but member states break them regularly. His earlier rhetoric of seeking a review of the European Union notwithstanding, Soini in power is more realistic. “Europe needs a framework to cooperate, but the dream of a federal state must be buried,” he says. Unlike other Nordic nations and, in fact, much of mainland Europe, Finland’s population has remained largely homogenous. It had a wave of Chilean refugees in the 1970s and Somali refugees in the 1990s. Civil war, dictatorship and famine were easier reasons for the Lutheran country to accept foreigners and provide them with social and economic benevolence. Times have changed since then. As European politicians tap into nationalist sentiment, racism and Islamophobia have also reared their ugly heads. Soini tells us of Finland’s own security risks. Finland has a tiny Muslim population, but “100 Finnish citizens, including 20 Finnish natives who have converted, have gone to fight with ISIS. The nearest terror activities have taken place in Denmark. Things are not at all as bad as Belgium or France, but the world is not going in the right direction,” he says. That narrative is at the heart of political debate within Finland today. Opposition MP Eva Biaudet of the Swedish People’s Party, which represents the rights of minority Swedish-origin Finns and has played king-maker in past coalitions since 1979, is worried about the course her country is charting. The EU is bound by shared common values and an international legal framework of human rights, but “it is the first time the anti-EU voices are strong in government. Racism is growing and there is a deliberate use of nationalism and populism by xenophobes,” she says. Also, she points to the reality of Finland today – an ageing population with a falling birth rate. An economy that cannot survive without being connected to the world. The only European nation that isn’t a member of NATO, but one that shares a 1,340 km land border with Russia, always threatened by confrontation or Russian aggression. A country that has military conscription to ensure its army is operational and strong. In short, a country that can no longer depend only on itself and its indigenous population for its survival, as the sick man of Europe. According to the BBC, Finland is the eighth biggest economy in the Eurozone but its two economic pillars – the timber industry and Nokia, the telecom giant – have been in decline. Back on the square outside the railway station, the Finnish nationalist I spoke to warns me of entering the crowd of asylum seekers and their supporters. They are mainly from Muslim countries, he says. “They don’t respect women or children, or our culture.” As sentiment confuses with fact and politicians slug it out, like everywhere else in Europe, that fine line between who is useful and who is fleeing to safety has become a fault-line, slicing through Finland’s core liberal values. To an outsider, the answer to these problems seems like a no brainer. Sift the good from the bad, but refugees or immigrants could boost the country’s parameters in the long run. Just as I am warned about the crowd, Ekhpelwak Kuchey – a Pashtun from Kabul who fled the Taliban at 16 with his parents – walks up to me and asks in Urdu whether I need anything. Dark skinned, Muslim and male – he fits the profile of those nationalist Finns consider suspicious or problematic. I couldn’t pronounce his name, but he told me it means azaad. He knows he is a minority, and an unwelcome one here today, but azaad is free and safe. He is now a nurse with the public health services, giving back to the country that his parents decided to make home in 2001, and contributing to the workforce and society of a nation that needs people for its survival. Maya Mirchandani is a senior journalist who works with NDTV.